Waterproofing retaining walls, below ground tanking, foundations & basements require best practice waterproofing techniques. The consequences of water leaks due to basement membrane failure are costly and often difficult to rectify. Liquid Applied Waterproofing Membrane applied for below ground tanking by Findlay-Evans. Recent expensive lawsuits due to water damage from faulty construction techniques have raised the level of awareness about the importance of correct waterproofing. This is particularly the case for below ground waterproofing where the cost of failure is high. 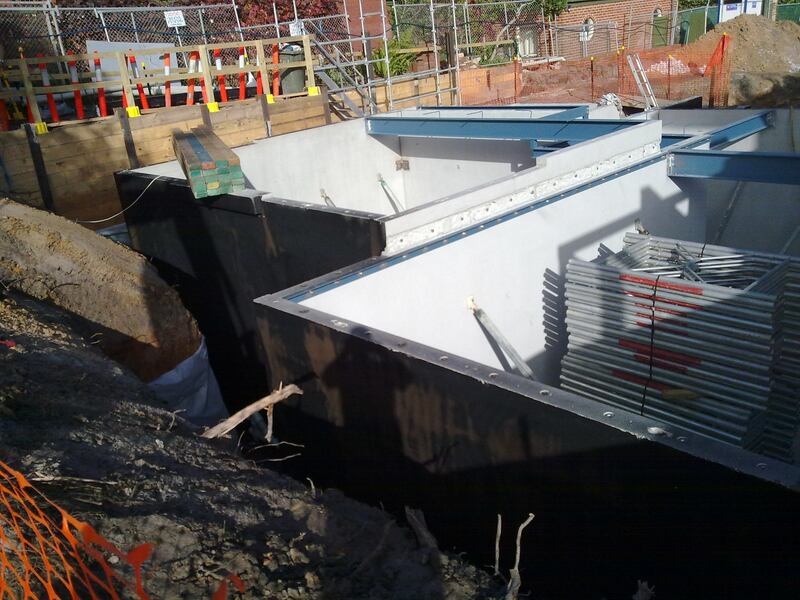 Rectification works for leaking basements and retaining walls often involve extensive & costly excavation methods, complete re-installation of a new membrane and backfill once again. Very often with below ground waterproofing failure, there are also property damage costs involved as well as the repair costs. Obviously it is far more cost effective to waterproof correctly the first time - however below ground waterproofing in construction unfortunately is often a "out of sight" mentality ! Liquid Waterproofing Membranes will conform to the shape of the wall & then extend down to footings/foundation in one seamless membrane. 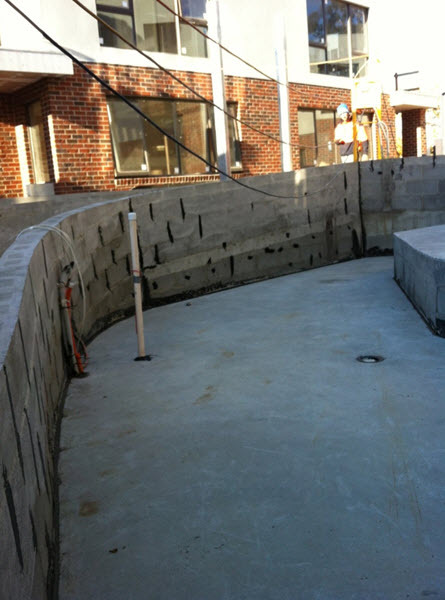 Liquid Rubber is extremely flexible - the waterproof membrane will move contraction & expansion of cement block wall. 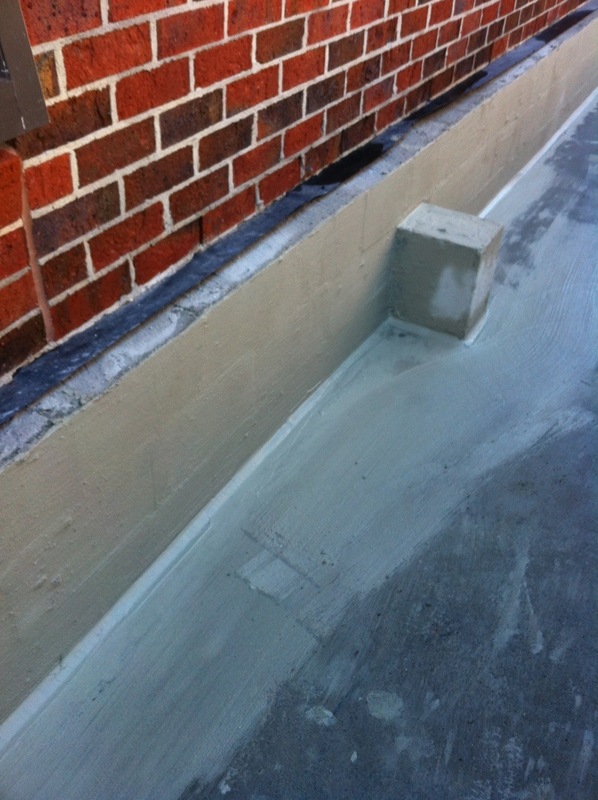 Spray Application is FAST - up to 3 x faster than sheet membrane waterproofing system﻿﻿s. Selection of quality waterproofing product that will last the lifetime of the building. Knowledge and understanding of problem areas of below ground structures - slab/foundation junction. 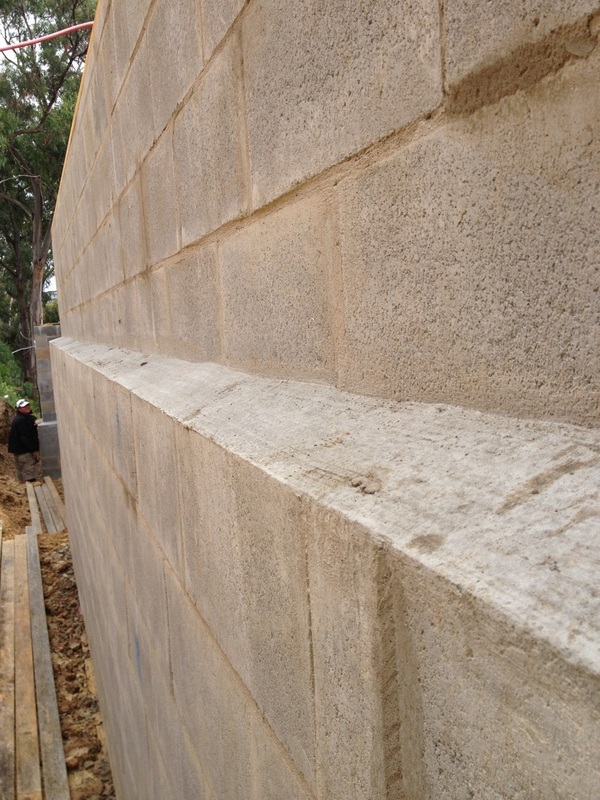 Retaining Wall Membrane - the best ones are Liquid Applied - which have flexibility and will move with the building. Preparation is vital to prevent water penetration for below ground structures. Quality waterproofing is all about preparation. Great preparation is all about attention to detail. For below ground that means preparation to all voids, form-tie holes, and joints in the structure. From a builder’s/developers perspective, here are a few preparation pointers to achieve successful waterproofing. Waterproofing products DO NOT adhere to a dirty surface. Scrape off excess and loose material from walls and footings and power wash before waterproofing applicators arrive. Get as much as possible done ahead of time: once waterproofing application starts timing is crucial and to stop to scrape loose concrete from the footings etc etc interrupts the rhythm. 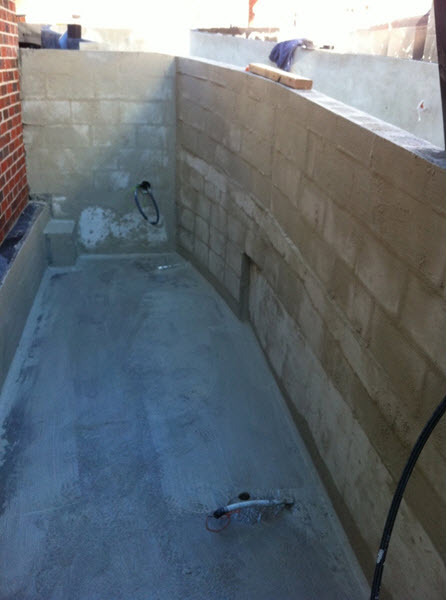 Keep the foundation wall and footings clean, free of loose material, and fairly smooth just before waterproofing. Remove concrete form ties. If there’s an odd form tie that wasn’t aligned properly and won’t break off flush, cut it off with a cutting torch or reciprocating saw. Break form ties off on the inside of the foundation too. 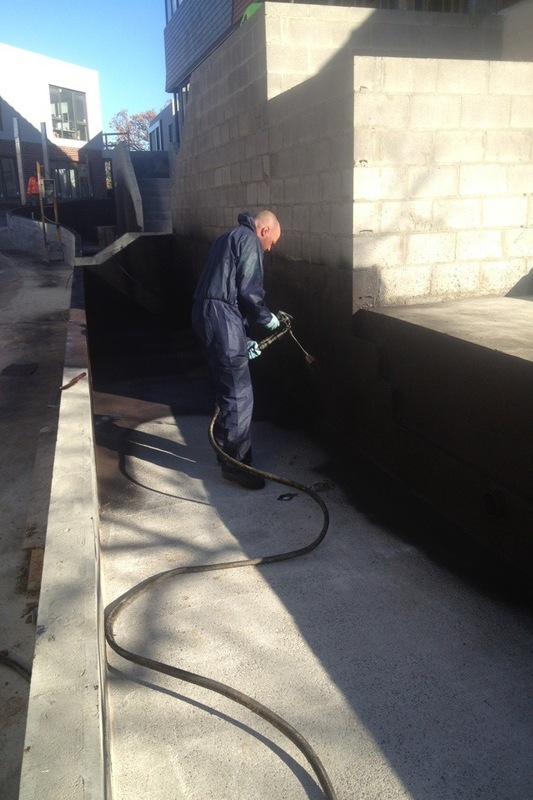 The Findlay-Evans Waterproofing Team inspect and prepare the surface substrate prior to the waterproofing application. Our aim is to have a surface that is smooth, dry and free of any contaminants like grease, mould etc. Preparation sometimes require primers/patch work to ensure the substrate is as monolithic as possible. 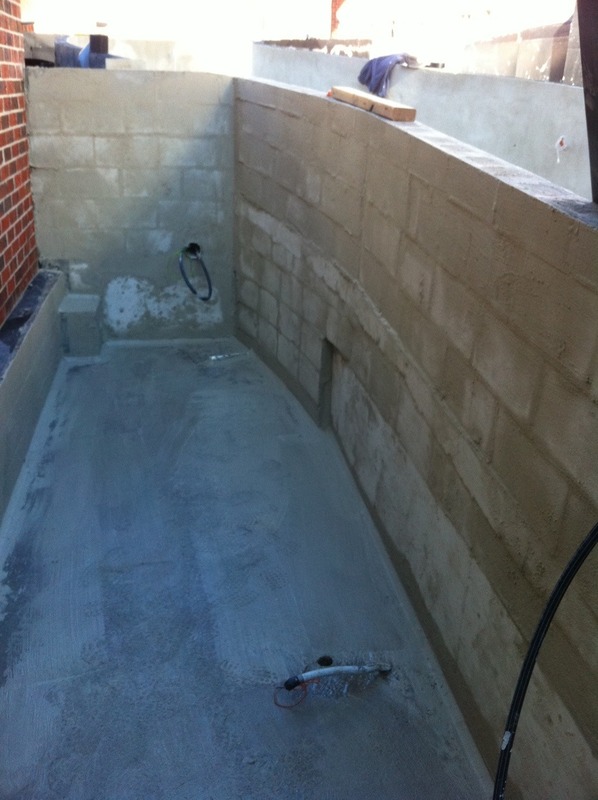 Often the wall-footing joints, require cement or other trowel-grade material to form a “fillet” (radius or cove) before applying the waterproofing system. However we find inevitably small holes, cracks and defects do get missed. It is very difficult to make sure 100% of all surface defects are covered. And unfortunately these defects often only show up after the waterproof coating has been applied. Rendered wall prior to waterproofing application. To 100% prepare a surface to accept the waterproof membrane,F.E.W offer a premium process. 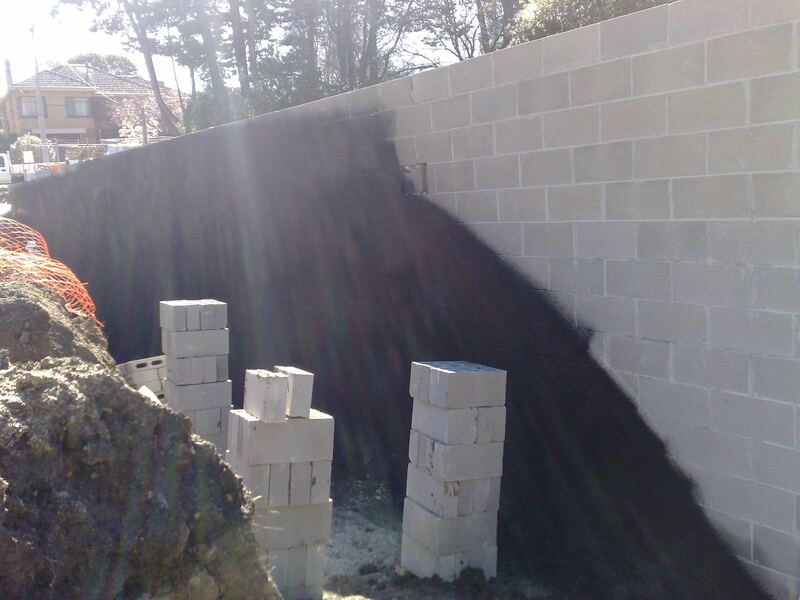 Our premium preparation is to completely bag/render the surface prior to waterproof application. 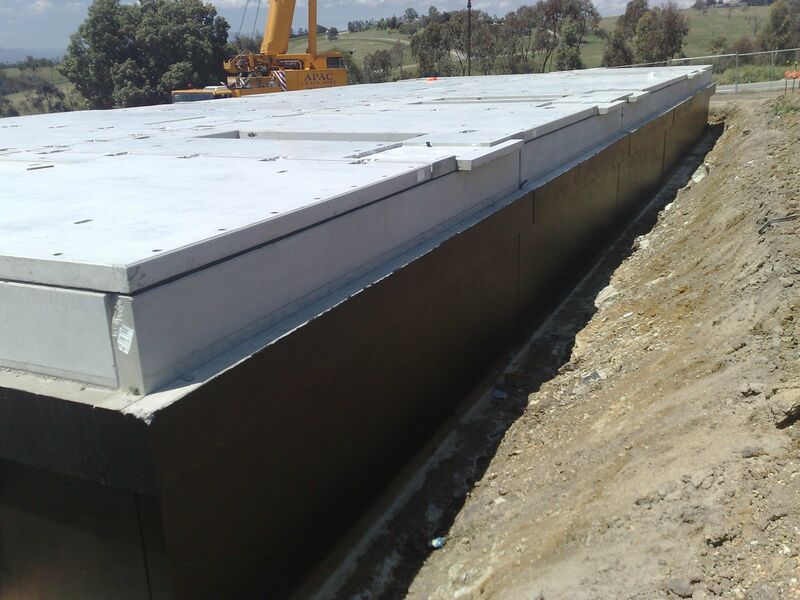 Complete bagging covers the entire wall with an acrylic coat providing a monolithic surface perfect for a waterproofing membrane. The bag/render surface also provides even extra waterproof resilience. All tie-holes are properly filled. After the waterproofing coat is applied to the correct thickness, the membrane will last indefinitely – it will not dry out, crack or peel off the wall. Findlay-Evans offers various solutions to failed existing sheet membranes that are leaking at joins and seams but otherwise are intact. Our Team can overcoat these existing membranes with a spray application of liquid waterproofing coatings that will firmly adhere to the surface. This provides a fully bonded seamless waterproof system over the existing failed membrane. We can offer repairs to existing membranes that are leaking, deteriorated, cracked and ageing.